While the world goes crazy with the conspiracy and gossip issues swirling in the vortex of the United States election on November 8, 2016 there is another, lesser known issue on the same day but of the utmost importance to millions of Biafran people in the African country of "Nigeria" known by insiders as the "Zoo." Why the feigned shock at the demographics of Dearborn, Michigan? The Muslim takeover of Dearborn, Michigan was paved way back when Henry Ford had his Judenrein (Jew-free) factories and most neighborhoods wouldn't rent apartments or sell homes to Jews. Good old Henry couldn't just quietly hate Jews, he established his newspaper The Ford International Weekly and The International Jew, a four volume set of blood libel booklets against the Jewish people, published and distributed in the early 1920s. This work expounded on The International Jew: The World's Problem. To foment and teach the good old Michiganders who were of pure Christian blood that the filthy Jews weren't needed or wanted became Henry's obsession. Henry Ford was the first international contributor to Adolph Hitler and certainly a collaborator in the Nazi machine. Ford created the lie that there was a Jewish conspiracy to control the world. He fed it with the fertilizer of hatred to propagate his own sick conspiracy. 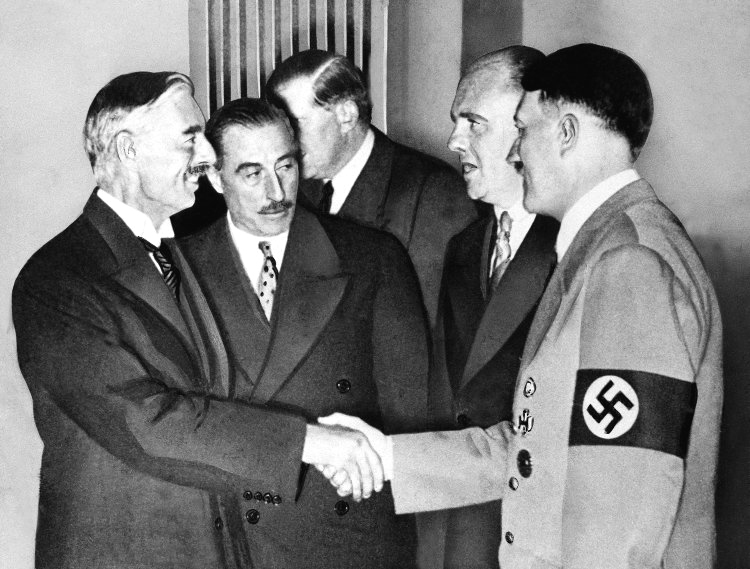 Yes, Henry Ford was greatly admired by Adolph Hitler. 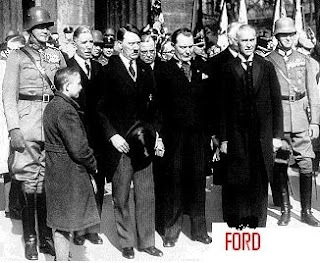 The mutual attraction between Ford and Hitler's Nazism continued until Ford's death. An article written January 10, 2010 by Bare Naked Islam asking why there are so many Muslims in 'Dearbornistan" is a good show and tell; it also proves that I am not the only person to come up with the connection between Henry Ford's Dearborn, and the Dearbornistan of today: An area that excludes Jews and welcomes Nazis and their sympathizers. The pundits talk about vacuums created and then utilized by ISIS and other Islamic Barbarians when United States Military withdrew from Afghanistan, Iraq, and other similar situations in the Middle East. I believe that in Dearborn, Michigan there also was a vacuum created... by Henry Ford. Perhaps if there were thriving Jewish communities that had been allowed to flourish in Dearborn, Michigan a more equitable balance of diversity would be thriving there. It is an honor to publish my Conversation with David Mark and shine a light on the great work he is doing through Israel Rising and Israel Africa Hub. If you look at David's work and ideals, you can see how this new generation of Israeli thinks and works to enable Israel to be the best in the new world order that is emerging. Naomi: What is the purpose of Israel Rising? What is your mission; what do you want to achieve as an organization? How do you prioritize your goals? David Mark: Israel Rising is an alternative right wing online magazine. I have believed for a while that Israel’s rights to all of its ancestral lands, which includes Judea and Samaria has been dismissed because the right has often sided with Western nations, who have followed a neo-colonialist agenda. The Right in Israel is not neoconservative in the slightest and is very multifaceted. The fact that many of its leaders have sided with the American right due to expediency does not reflect the deep ideological divide that exists there. Our biggest priority at Israel Rising is creating a new Right-Left Paradigm in relation to Israel’s connection with its own land and placing this in its rightful context. I have always been a proponent of charting our own course, one which is specifically separate from those countries that have often times been our biggest abusers. We are an ancient people unduly ripped from our homeland and justice dictates we have a lawful right to all of it. Given this outlook, an Israeli nationalist should find himself far more connected to the plight of Biafra, Native American rights, Indian Nationalism, etc. rather than adopting a Western orientation. This is why we emphasize a united Israel agenda as well as pushing for lasting partnerships with African and Eastern countries. 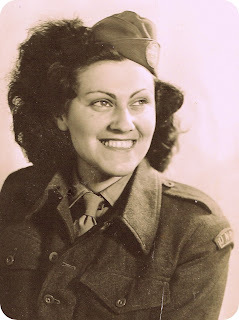 Naomi: Would you please define anousim and crypto Jews in the context of your interest and organization for our audience? David Mark: Anousim are clearly Jews of Spanish and Portuguese origin that fled the Inquisition and are now awakening to the fact that they are actually Jewish or have Jewish ancestry. There are at least 25 million of them. Some experts say 100 million. 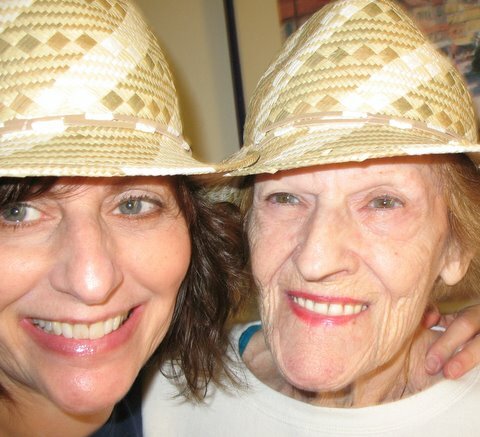 Not all are Halachic Jews, but many are; with many more sharing ancestry. In terms of Crypto Jews, I use that term a bit more loosely when it comes to Jewish or Israelite communities that share many traditions with normative Torah Jews, but these communities became lost or disconnected. With the advent of the Internet, coupled with the rise of Israel as real power, these communities are awakening and seeking a real return to their roots. 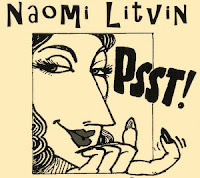 Naomi: Can you explain the concept of Global Israel that I heard you speak of with on your podcast with Rabbi Harry Rozenberg? Can it become a reality or is it just an idea? David Mark: There is a Midrash that says at the end of time the Land of Israel will spread throughout the world. This is not fairy tale stuff. Wherever an Israelite is he or she can activate what is called in Kabbalah, their nekudat Tzion or point of Zion. I am not talking about the State here, but rather a consciousness. With the Internet a true consciousness like I am talking about is possible. The State of Israel can certainly facilitate this, but in reality it doesn’t need to. We can and we will. None of what we read in the Bible or Midrash is hokey pokey, but rather coded blueprints for us to implement in order to create a better for perfect world. So yes, it is possible and really it is happening now. Whether it is Rabbi Harry’s iTribe or much of our own network through Israel Rising or our sites like Israel Africa Hub people are waking up to something much bigger than becoming an Israeli citizen. Israelite traditions and our approach to the world are becoming the basis for many communities around the world. In many ways these ordinances that we are all striving to live by is an alternate form of governance, free of boundaries and yet striving to create the ultimate global community. 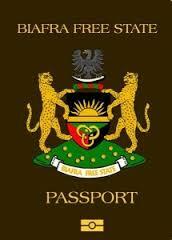 Naomi: Regarding the self-determination of Biafra; do you think they are ready to self-govern? Do you believe they have any monetary funds behind them? David Mark: They certainly have the potential to have the monetary funds. The Igbo people in diaspora are some of the most wealthiest cultural groups in the world. Money is not the issue. IPOB is also very organized, so if there was to be a Biafra they could certainly govern themselves. The only question is will. An email arrived this morning from my friend KC of Biafraland in the South East of Nigeria. In a previous interview, Conversations with Naomi: My Biafran Friend we were able to "peek into a Biafran's frame of mind at this critical juncture when Biafra seeks to secede from Nigeria.."
Good Day Madam, Have you seen this news? KC: The Fulani herdsmen are the same people that have been causing mayhem in all parts of Nigeria and has now gone to our land to burn churches and kill our people with no arrest at all! These are Buhari blood relations because he's Fulani too and Fulani herdsmen are the fourth deadliest terrorist group in the world but not one is arrested, they kill and go free! Someone claimed on twitter that yesterday as the attack was going on in our land the governor of Enugu state in Biafraland placed a call to the president but no reply from him. The police couldn't even stop the herdsmen from killing our people because they are answerable to Inspector General of Police and the president, not the state Governor! Personally I have written off Nigeria! To me it doesn't exist again and I think the only option now is to fight for survival because Buhari and his brothers are out to Islamize our people and take our lands by at all cost! Naomi: KC, I would like to ask a few important questions. First of all, how organized is IPOB? KC: As you know, IPOB stands for Indigenous People of Biafra, the owners of the Biafraland and its resources. We have a well organized hierarchy. As you know, our leader Nnamdi Kanu is currently in detention but our Deputy Director Uche Mefor doubles as the Director of Radio Biafra and the Director of IPOB in the absence of our Leader Nnamdi Kanu. Naomi: Is there anything in place for self-defense? The following conversation with KC from Biafra land is brought to you in the hope of educating the world on the plight of the Igbo people who want to be free of Nigeria. I am doing what I can so that history does not repeat itself and cause another genocide in Biafra as in 1966-1970 during the civil war. KC has kindly consented to allowing us a peek into a Biafran's frame of mind at this critical juncture when Biafra seeks to secede from Nigeria. I highly admire the self determination of the Biafrans. KC: Good day Madam. I most commend you for having to make a report out of our little conversations. I'd be very grateful if the world learns about Biafran's plight through you. Naomi: It is my pleasure, KC, and I am so very honored that you are taking the time to speak with me. I have a few questions for you, both about the current situation in Biafra and about your way of life. Is it true that Biafrans serve in the Nigerian military? KC: Yes some Biafrans serve in the Nigerian army but the present government have made it a point of duty to declare war on those officers. Some sources say that the gallant Biafran soldiers and Christian soldiers alike are taken to the war fronts during their battles with Boko Haram members and they make sure all those Biafrans and Christians are killed. The Nigerian army top ranking offices are mostly core Northern Muslims so they conform to the government in power which are mostly core Northern Muslims. Once around 2012 the present governor of Kaduna State Nigeria Mallam Nasiru El-Rufi made a public threat on twitter. And I quote "that any one soldier or civilian who kills a Fulani Man takes a loan payable one day no matter how long it takes"
This threat is coming to pass now because most of the gallant military men fighting Boko Haram are from the South- Biafrans and Yorubas and the military now sabotage them making sure they kill them for fighting against their Islamic fundamentalists during the tenure of Dr. Goodluck Jonathan, the Christian president who handed Nigeria to the present Muslim president of Nigeria, Muhammadu Buhari. We are actually in a big mess herein but we will survive. Naomi: Do you believe there can be a peaceful way for Biafra to gain independence from Nigeria? KC: Firstly, we are a very peaceful people and we seek and make peace wherever we find ourselves. Take for example the leader of IPOB- Indigenous People of Biafra, Mr. Nnamdi Kanu has been in prison custody since October 15, 2015. His only crime is that he is seeking for the United Nation mandate on self-determination for a unique people, in essence Biafrans in Biafra land and he also operates a radio station-- Radio Biafra in London where he resides. He is also a British and Nigerian citizen. We have continued to call on the United Nations, United States, the European Union, and all world powers to assist in a peaceful referendum and to determine the genuineness, importance and urgency of our struggle for freedom from Nigeria. Nigeria simply means Niger area or an area of land around the river Niger. 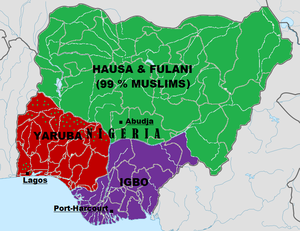 The three nations found in Nigeria- the Arewas--mostly the Muslim Northerners, the Oduduwas -- Westerners composed of Muslims, animists, Christians, and the Biafrans-- in East of The Niger, who are 99% Christians and 1% animists. Three of us are heavily heterogeneous; we don't have any thing in common, no history of having been together before the coming of the British and after they joined us in one country, the remaining two became envious about the Biafrans and started killing us. Actually the British literally handed over power to the Arewa Muslims so that they could control Nigeria from London, use them to suppress and kill us, the Biafrans. This was exactly what happened during the Biafra -Nigeria civil war. The British gave Nigeria arms; annihilated us from the face of the earth. But being a resilient people we fought three years before running out of food and arms. The Northern Muslims are actually the least literate of the three nations. The Masada Faktor, my new book, a Mediterranean noir, received an outstanding rating in the Self-Published e-Book Awards. I am honored, thrilled, and grateful to present the comments below. "Gorgeous cover image of the stained glass window and brilliant to share the history of it. That lets the reader know that truly unique history is on the way, starting here. We get a nice art history lesson for those who might not be familiar with Maumejean Brothers. The author demonstrates a tremendous familiarity with art history, and shares it with us in an engaging way. The story has excellent sensory details. Author has taken good care to layer each scene, with not just views but experiential details that draw the reader in. We get at the start a musty smell, which we can smell as we’re reading, and the taste of wine. Author adds a lot of depth to the story with these well thought-out details. Watch out for those little moments in which social media is explained. It comes off as a little awkward, and removes the reader from the book experience. Trust that your audience knows what Twitter is without interrupting the narrative and jerking the reader out of the book’s descriptive depths. Author conveys movement very well. We get a nice fluidity in movement descriptions that I found very impressive. And we get visceral recaps of Nazi history that disturb us. These are well-handled, weaving a tapestry of history for a very naturally-written journey through that time and its tensions. Good use of the letters to bring us back and forth in time. Just watch out for some small typos like missing punctuation that distract the reader. Transitions between chapters are exceptional, and the ending more than satisfies with the question of ‘are we still not strong enough?’ Impressive." Our judges all have professional experience in their background, whether it's as a teacher, editor, publisher, agent, published author, etc.